TKR lost their opening match this year and by winning today’s game, they would love to forget that defeat and continue the tournament with new thoughts. Being led by Kieron Pollard, BT will feel a boost in themselves as one of the fantastic batsman AB de Villiers has returned to the team. The entire cricket world knows about his strengths. Trinbago had an upper hand when these two teams met in the last season. Now, Barbados will play to take revenge as the game starts. However, Pollard has notified that they are not looking forward to that way. The skipper said that they just want to go and play the best cricket as they can. On the another side, Knight Riders are fully aware that de Villiers has returned to the playing lineup of their opposition team. So, they must get some plan to restrict him from scoring runs else it will get difficult for them. “He is one of the best batsmen of the world in all the three formats of the cricket, sport. Also, there is no doubt that he already has got a lot of experience in all the versions. He is expected to play some good cricket. It has always been a pleasure to watch him bat. Moreover, he is a significant influence on any team,” Kallis said. T&T: Dwayne Bravo (C), Brendon McCullum, Sunil Narine, Hashim Amla, Umar Akmal, Kevon Cooper, Suleiman Benn, Colin Munro, Anton Devcich, Ronsford Beaton, Nikita Miller, Javon Searles, William Perkins, Yannic Cariah, Darren Bravo, Ramnaresh Sarwan, Hamza Tariq, Anderson Phillip. Barbados Tridents: Kieron Pollard (C), AB de Villiers, Shoaib Malik, Nicholas Pooran, Ravi Rampaul, David Wiese, Robin Peterson, Raymon Reifer, Ashley Nurse, Wayne Parnell, Akeal Hosein, Imran Khan, Kyle Hope, Navin Stewart, Kyle Corbin, Steven Taylor. India: Sony Six and Sony Six HD. Live Streaming: SonyLiv. UK: BT Sport. Live Streaming: BT Sports Live Streaming. USA: ESPN 3. Live Streaming: Watch Espn. Australia: Fox Sports. 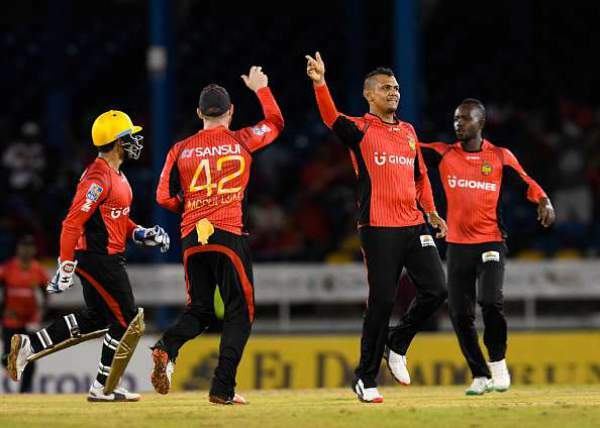 Trinbago Knight Riders vs Barbados Tridents Live Score Streaming: Foxtel Play. Stay tuned to The Reporter Times for match result, highlights, man of the match, winner, and other details. Do come back for more newest cricket news and updates across the globe.